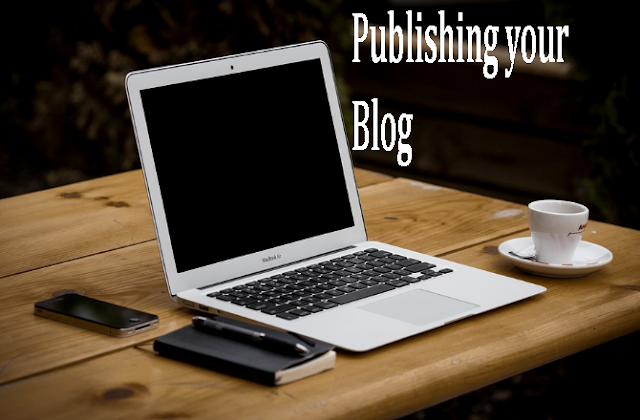 Publishing Your Blog. - CarseNoodle :: A Blog About Blogging And Earning Money Online. Home > Blogging > Publishing Your Blog. Sometimes the main failure of a blogger is due to the publishing of the blog. Publishing some good content on your blog is important to drive traffic to it. At the same time contents plays a very important role in search engine optimization. Thus, you should be careful while publishing content to your site. Before the final publish you should carefully observe the content for some basic parts. Your content should be informative. The best thing to do while writing a blog post or article is to make it informative. People which you can say your customer will come to your site searching for something. If they don't find anything that they are interested then the result will be of bounce rate increase of your site with no returning visitor. Nobody likes to read articles with only text. Make it interesting with graphics and media. Use related images and video inside the content where possible. Visual graphics is a good way to make your content interesting. Provide pictures, Graphs, illustrations within the article. Suppose you know very difficult words of the language you are blogging. Using such words is a good way to show your expertise in the language. But your site visitor may not think this way. Because they arrive at you blog searching for some information they are searching. People are always in a hurry when there they can find another option. So be simple. Write in a way that everybody can understand. Try to maintain the readability score of your articles. Also, pay attention to grammars. You may think I am saying this while my own grammatical sense is zero. But believe me; I am working hard on it. And, you should also try to use good grammar while composing contents for your blog. Keyword plays an important role in search engine optimization. But you have to use it in a proper way. Overwhelming your content with keywords targeting for search engine optimization won't work. Search crawlers are getting intelligent as the programmers who design them. The keywords you use in contents should relevant to the information you are providing. Using two to three keywords and some related words result best. Otherwise, search crawlers will mark it as keyword stuffing and you may never come to the index page of the search engine. I mentioned in my previous post there are already many blogs in every niche you can imagine. What makes your blog different? Of course the content of your blog. Try to publish fresh content, which is helpful in getting more readers as well as ranking high on search engines. Don't copy past articles from other blogs or sites. Even they have the permission to repost it but remember many bloggers like you already copied that post. Update your blog on regular basis. People want to get new information. So, you have to post new contents on regular basis to make them engage on your blog. Otherwise, they will forget even the name of your blog or site after a certain time. This is also for the ranking on search engines. Search engine crawlers often visit your site on a time interval set by the administrator to find the new updates and changes to your blog. Let them find what they are searching. Interlinking makes it easy to find the articles related to one they read. Interlinking is linking pages and posts of your sites with anchor text. This is also a needed factor to get search engine ranking. Only interlink posts or pages that are relevant to the post or page. Don't interlink to a completely different topic. Interlinking to different topics that are no way related to your content is a negative impression for your blog. Also, Search crawlers will not like it. These are the basic factors that you should keep in mind while publishing a content piece or article. You should make the content informative for the reader as possible as you can. After completing the article proofread it for possible errors. Also, you can ask someone that has knowledge of blog post writing to do it for you. Read the post and make the changes you feel required. After you get complete satisfaction publish it and share with the people searching for that information.